In November I bought some beautiful pieces of stabilized turquoise and above is a piece I made for a friend's Birthday gift in December. 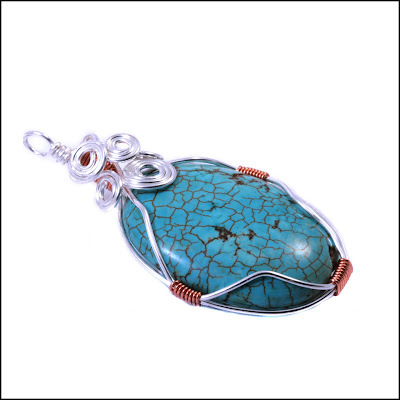 Turquoise is such a beautiful stone and this wire wrapped technique shows off the maximum amount of stone. You can order your own pendant now in my Folksy (£) and Artfire ($) shops! This is lovely! Wirewrapping pendants is something I must try soon!